Crawley Town fans will not be happy with FourFourTwo magazine’s prediction for the Reds this season. The football magazine has tipped Crawley Town to finish third from bottom, with only Stevenage and Morecambe finishing below them. They have predicted Portsmouth to win the league with Leyton Orient and Carlisle to go up with them. 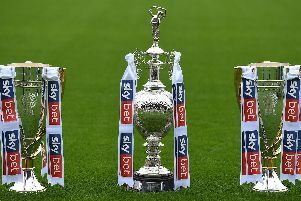 Luton Town, Notts County, Cambridge United and Plymouth Argyle will fill the Play-Off places, according to the magazine.